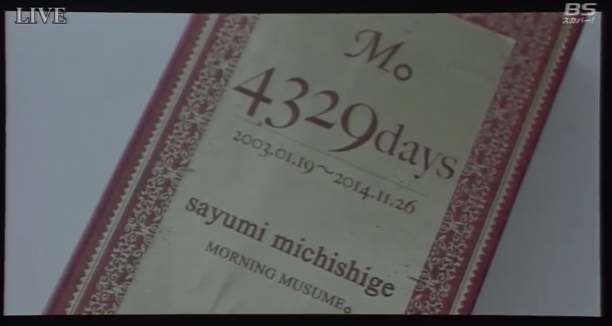 Today on November 26th 2014, Michishige Sayumi has now officially graduated from Morning Musume '14. To her I want to say congratulations on a successful graduation ceremony and for being a part of Morning Musume for over 11 years, successfully proving that she is a true Idol despite coming into the group as one of the weakest members. During her final concert today she showed us all how far she had truly come. Watching Sayumi in her final performance today, it really felt like she was at her highest in level ever - starting from the bottom, Michishige Sayumi is now at the top. You could see her cry. When she cried, everyone who was watching the concert online seemed to cry too. It was heartbreaking, watching Sayumi as she performed for the final time with tears in her eyes as she tried to smile. I don't want to turn this into a concert review, but watching Sayumi and the girls in her Graduation ceremony was overwhelming. I cried so much during the live stream, I'm even crying now, damnit! Michishige Sayumi gave one heck of a performance, and when she finally bowed out, I realised that now the end of an era has come, and a new one is about to begin. Michishige Sayumi is no longer a Morning Musume member. I wanted to keep this post short and sensible, but I can't do that, not the sensible part; I'm going to miss Sayumi so much now that she's gone, but I know she deserves this break - for more than 11 years now she has worked hard alongside Morning Musume and alone, helping the group in a way no other member could in their time of despair. She was a crucial member, one who has been under-appreciated because we only ever looked for her talent rather than her ability to promote and work from behind the scenes, supporting Morning Musume from the very beginning until the end. For this long she has been here, doing all she possibly could to prove herself a vital member. Now, we can fully appreciate Michishige Sayumi as one of Morning Musume's greatest members and leaders. 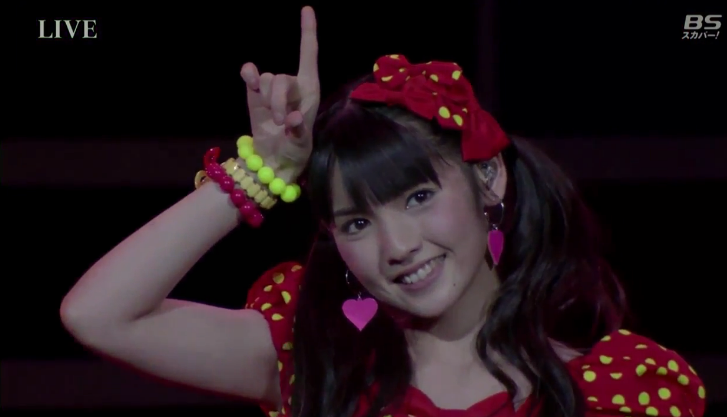 Michishige Sayumi came into Morning Musume loving the group, and she leaves loving the same group even more. She didn't do it for the fame or to become a top Idol; she did it because it was what she loved the most. For us all, Sayumi was born to be an Idol. You came in as a normal girl from Yamaguchi and now with your chapter ending, you return as a beautiful young woman ready to begin a normal life once again. For 11 years you have worked hard for what you love, and now that you leave what you love behind, you are ready to begin your own new chapter. Michishige Sayumi, Sotsugyou Omedetou~ Thank you for being a part of Morning Musume and a part of our lives. You will be dearly missed! Are you ready to head towards the future as well? Sayu has left the building. The ending of the concert truly marked the end of an era. 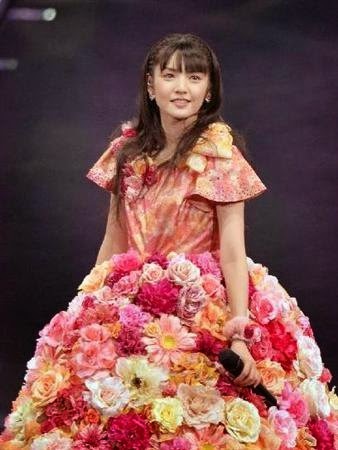 I liked Sayu's dress, actually, no matter how... giant it was! But yeah her hairstyle could have been a bit different. And the concert is good, when you get a chance to see it, watch it in full! It's very sad abut Sayu shows how good she has become in singing... but she has left a strong MoMusu behind. I hope she has a wonderful future, whatever she chooses to do! 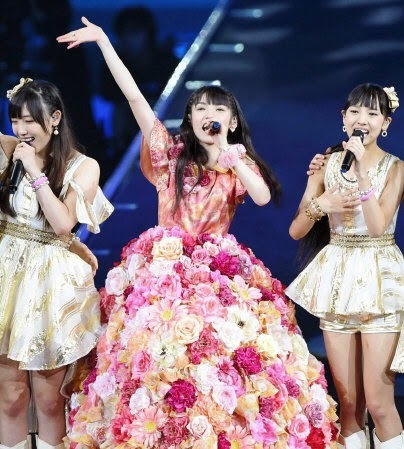 I only just discovered this group but I have to say that out of all idols I've seen, Michishige Sayumi is the best and no one will probably ever beat her at it. To come in as knownly the weakest member but then to leave being much loved and remembered. That devotion and the love for the members and group and organization, is at top notch level. She gave her teenage years and early 20s to focus for the group by not getting involved with scandals and or a lover and pushing her juniors forward, to carry on for her and their previous generation members is just marvelous. I'll just wait and see now how 9th,10th, and 11th gen will lead and how 12th gen will do.